Whether you are climbing Mount Everest or the corporate ladder, the requirements for being a successful leader are strikingly similar. Trust me, I know. As a high-altitude mountaineer and polar explorer, I headed the first American Women's Everest Expedition, climbed the highest peak on every continent and skied to both the North and South Poles. And this was after spending two decades in the business world, a feat in and of itself. I've learned in both environments that there's no better training ground for leaders than high-stakes setting that push you beyond their limits. Learn the art of improvisation. Improv skills can be just as important or more important than the ability to execute a plan. On a mountain, weather and route conditions determine how you proceed, so rarely will you be able to stick to a particular plan. In business, plans are outdated as soon as they're finished because of the breakneck pace of technology and rampant disruption. So sometimes you have to toss out well laid-out plans and take action based on the situation at the time. Practice sleep deprivation. Sounds more like torture, than a tip. 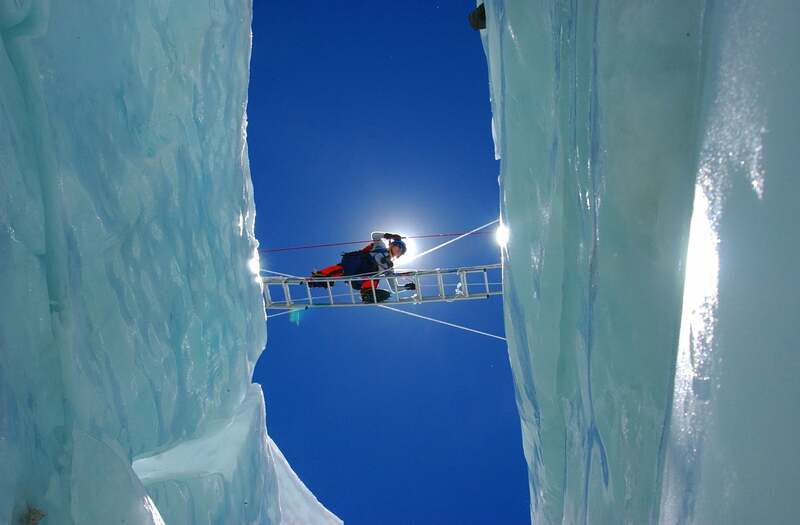 But on expeditions, it's not unusual for climbers to have to push themselves for 20 or more hours with no sleep. In business, the same scenario could arise, as there will be occasions where you need to pull an all-nighter to finish a project time. If not prepared, both situations could cause a lot of anxiety. People should practice sleep deprivation, so that when they have to do it, they know what it feels like and aren't anxious about it. You will then know you can perform on minimal or zero sleep if you're used to doing it. Embrace assholes. When it comes to personalities, we aren't as quick to embrace people who aren't like us and don't behave like we do. Some people are just assholes. But if they are exceptional performers, we need to try to embrace them. Network as if your life depends on it. Every spring there are people who die on Mount Everest, and it's a tragedy that should never happen. But it does happen. A variety of factors contribute to whether or not someone can or will be rescued, but you can stack the deck in your favor by making sure you have strong relationships in place with the climbers on other teams. People are more likely to take personal risks for someone they know vs. someone they don't. Take the time to network and form strategic partnerships. When you're in a precarious situation, you just never know who you might need to call on for help at some point. Don't hesitate to change direction. Changing direction does not mean losing ground. When climbing Everest, the need to retreat to lower camps is imperative, as you need to ensure you body adapts and recovers from the effects of high altitude. Spending time climbing in the "wrong direction" is hell on the psyche. But you have to remember that even though you are often going backward along the route, you're still making progress. Same goes for business. You do not have to move in one particular direction in order for progress to be made. Sometimes you have to go backward in order to eventually get to where you want to end up.